This book contains the refereed proceedings of the International Conference on , MS 2013, held in Castellón de la Plana, Spain, in June 2013. The event was co-organized by the AMSE Association and the SoGReS Research Group of the Jaume I University. 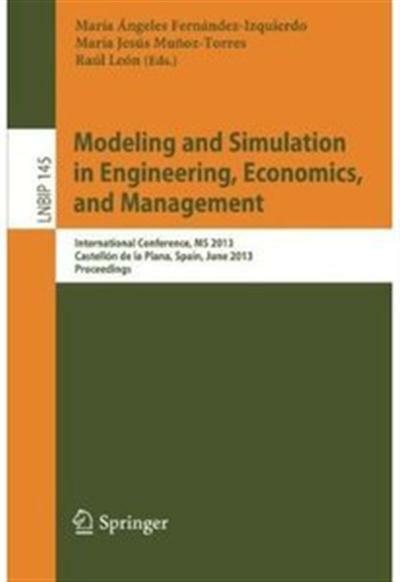 This edition of the conference paid special attention to modeling and simulation in diverse fields of business management.The 28 full papers in this book were carefully reviewed and selected from 65 submissions. They are organized in topical sections on: modeling and simulation in CSR and sustainable development; modeling and simulation in finance and accounting; modeling and simulation in management and marketing; modeling and simulation in economics and politics; knowledge-based expert and decision support systems; and modeling and simulation in engineering.